On May 2, 2017, the Company issued a press release entitled "Chembio to Host Conference Call to Discuss First Quarter 2017 Financial Results". A copy of the press release is furnished herewith as Exhibit 99.1. On May 3, 2017, the Company issued a press release entitled "Chembio Secures $5.8 Million Bio-Manguinhos Order to Supply Components for Production of DPP® HIV 1/2 Assay in Brazil". A copy of the press release is furnished herewith as Exhibit 99.1. The information in this Item 7.01 of this Form 8-K is being furnished and shall not be deemed "filed" for the purposes of Section 18 of the Securities Exchange Act of 1934, or otherwise subject to the liabilities of that section. The information in this Item 7.01 of this Form 8-K also shall not be deemed to be incorporated by reference into any filing under the Securities Act of 1933, as amended, or the Securities Exchange Act of 1934, except to the extent that the Company specifically incorporates it by reference. Press Release entitled "Chembio to Host Conference Call to Discuss First Quarter 2017 Financial Results" dated May 2, 2017. Press Release entitled "Chembio Secures $5.8 Million Bio-Manguinhos Order to Supply Components for Production of DPP® HIV 1/2 Assay in Brazil" dated May 3, 2017. 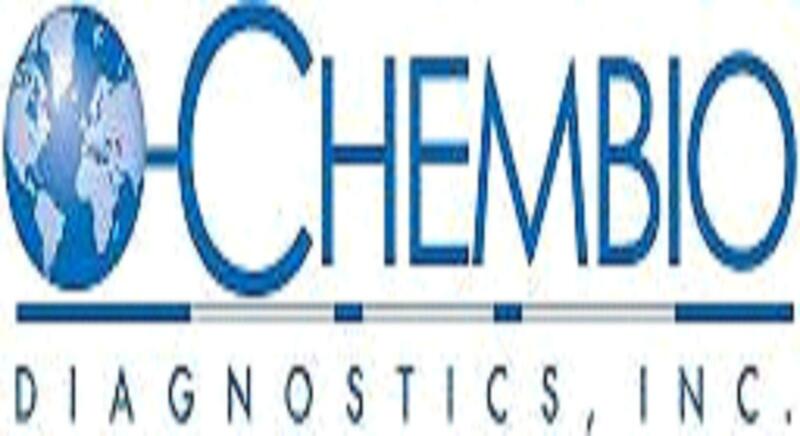 May 3, 2017 Chembio Diagnostics, Inc.